Simon Gagne, the longtime Flyers left winger, has retired at age 35. The two-time All-Star spent 14 seasons in the NHL, including 11 with Philadelphia. The Boston Bruins have placed veteran forward Simon Gagne on waivers for the purpose of releasing him, a person familiar with the decision has told The Associated Press. 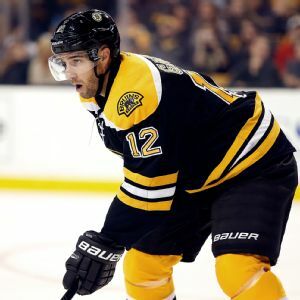 BOSTON -- Bruins forward Simon Gagne's decision to sit out the remainder of the season for personal reasons had the support of his teammates on Tuesday. The Boston Bruins announced Monday that veteran forward Simon Gagne will not return to the team this season due to personal reasons. 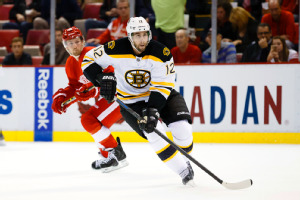 BOSTON -- There's still no timetable for when Boston Bruins forward Simon Gagne will return to the team. He's on an indefinite leave of absence, returning home to Quebec City early last week to be with his ailing father, who was recently diagnosed with an incurable form of liver cancer. BOSTON  With Bruins forward Simon Gagne out indefinitely due to a personal leave of absence to be with his ailing father, Gagnes teammate have him and his family in their thoughts. Boston Bruins forward Simon Gagne is out indefinitely due to a personal leave of absence to be with his ailing father. 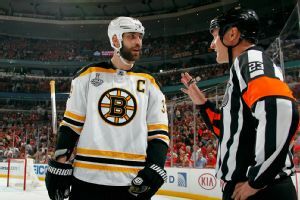 Bruins captain Zdeno Chara practiced with the team Tuesday morning for the first time since tearing a ligament in his left knee Oct. 23. The Boston Bruins snapped a three-game road losing streak with a 5-2 win over the Arizona Coyotes on Saturday night at Gila River Arena in Glendale, Ariz.
With the exception of a brief lull to start the third period, the Boston Bruins did almost everything to deserve a victory, but the Anaheim Ducks finished with a 3-2 win Monday night at Honda Center in Anaheim, California.